Flickr is very popular website to browse and view lot of cool photos from around the world. Is Flickr blocked at your school, office or work place? There is alternative for every blocked service like Gmail blocked at work, here is dead simple way to access blocked Flickr photos by changing the URL. 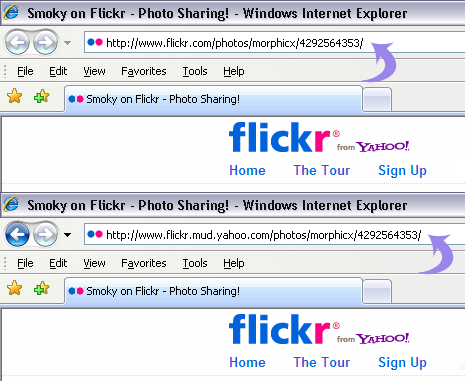 One simple way to access blocked Flickr photos, albums and sets [via MydigitalLife]. Do you know any other way to access blocked Flickr website?